As previously announced, Weekly Famitsu magazine issue #1554 includes an 8-page feature on the upcoming puzzle action-adventure game remake, Catherine: Full Body. 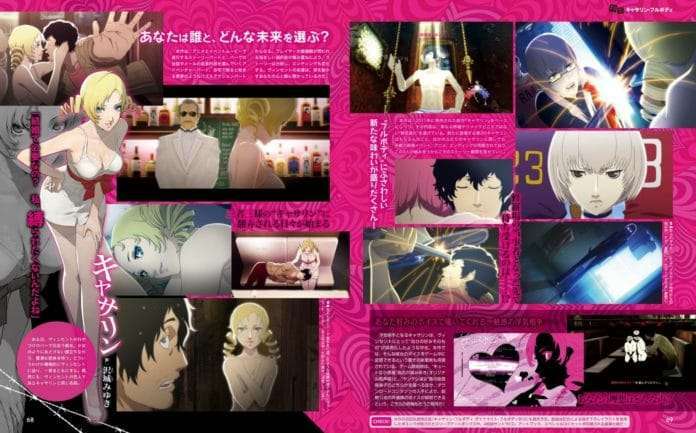 The feature includes new art and screenshots for Catherine: Full Body, along with a developer interview by chief producer Katsura Hashino and director Kenichi Goto. Full details from this magazine feature can be found in a previous post. The previous Famitsu feature for the game was in December 2017. Weekly Famitsu magazine #1554—or the September 27, 2018 issue—was released on September 13, 2018. Catherine: Full Body will release for the PS4 and PS Vita in Japan on February 14, 2019, and in 2019 in the West.